Being in the label industry for 3 decades, Performance Label Company has successfully established itself as a leading wholesale label supplier to brokers, printers and resellers across USA. Performance Label Company, popularly known as PLC, is acknowledged for its precision-made die cut rectangle labels that are used for a variety of commercial and industrial applications. Our clients and vendors have always preferred to partner with us as they have grown confidence in our high-quality service provision. Our customers find us easy to work with as they can reach us readily through a phone call and can place their order. 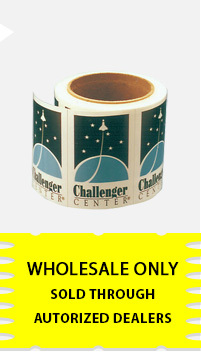 We supply accurate amount of wholesale die cut rectangle labels and deliver the same to our customers at their doorstep. We strictly maintain our deadline of delivery and hence offer quotes instantly on the phone without any delay. We at times deliver even before time. We value our customers’ money and thus offer services at competitive prices. In case of prepaid orders, customers can enjoy free ground delivery within the continent of USA. Besides, we offer an extensive variety of easily-printable labels in different dimensions, layouts, shapes and colors and deliver the same on time at the customer’s doorstep. Partnering with PLC will give you more than just quality and precision made labels. It would also give you an option to discover excellence, efficiency and complete customer satisfaction, which guarantees long-term business prospects.